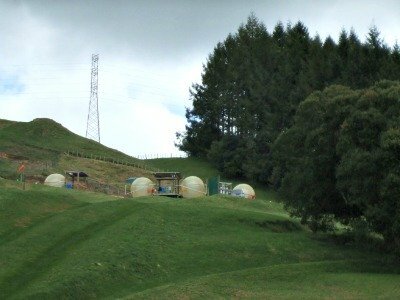 Where can I get a Māori hangi without having to go to a cultural show? I get asked that question a lot by visitors to my website. 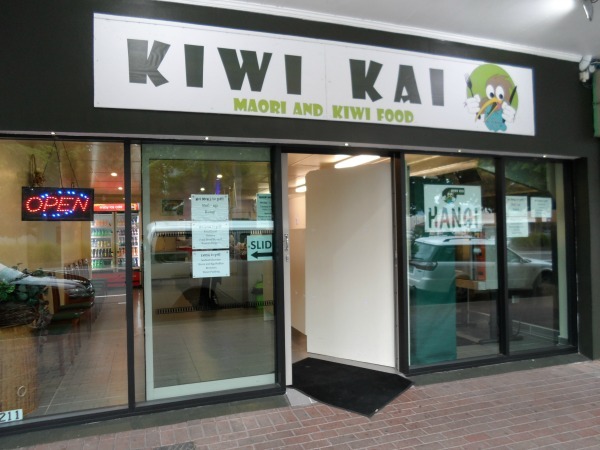 Now I say, "Go to Kiwi Kai takeaways for Māori and Kiwi food." 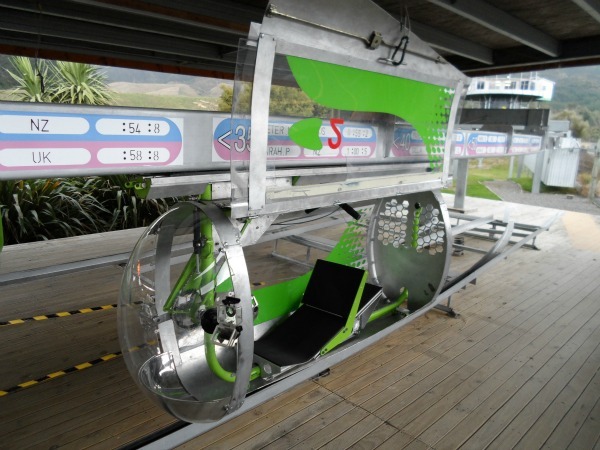 Situated where Joe's Diner used to be, Kiwi Kai is Rotorua's latest cultural experience - and not too soon I might add. Oftentimes over the years I wouldn't have minded a hangi or a piece of rewena bread, but couldn't get it without attending functions or a cultural show. Dine in or takeout, the choice is yours. Chris Poipoi, the owner, is a lovely guy who is all about his customer's experience of the food on offer. 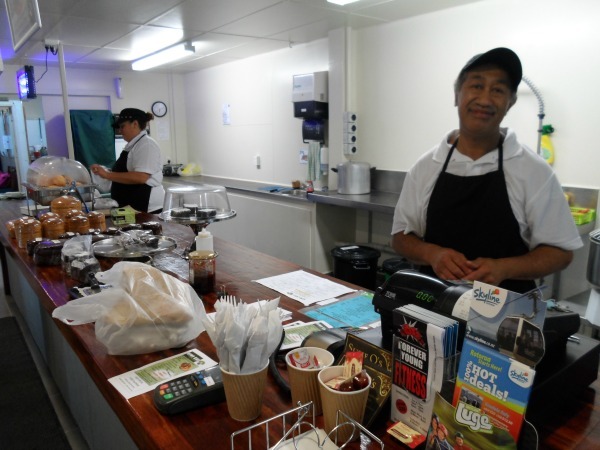 Although this particular business is relatively new, Chris and his family have operated a māori kai (food) stall at the Saturday Kuirau Park flea market for many years. Initiated by his parents, the stall is really popular with locals and visitors. Now they also have a stall at the Thursday Night Market. 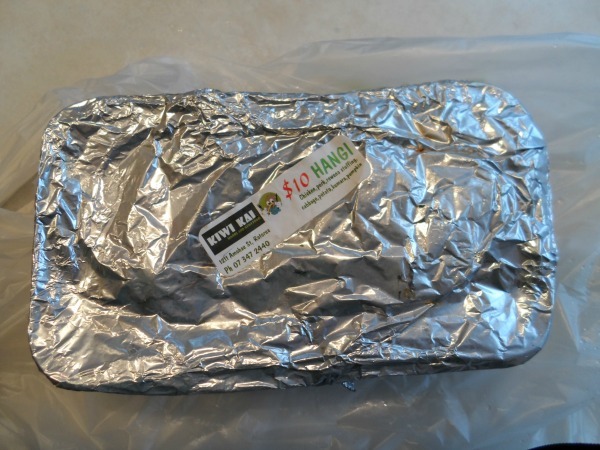 How the māori hangi is packaged for you... it's hot, hot! I paid a visit to Chris and Kiwi Kai to try the māori hangi (pictured). My verdict? Yum. Simple huh? 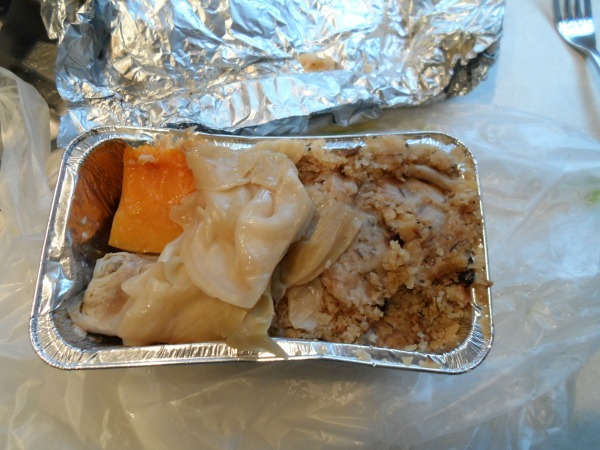 This particular meal was made up of chicken, pork, potato, kumara, pumpkin, cabbage and rewena bread stuffing. Very substantial. To tell the truth, I ate the lot and still felt full for most of the following day. Yes, I was Miss Piggy. 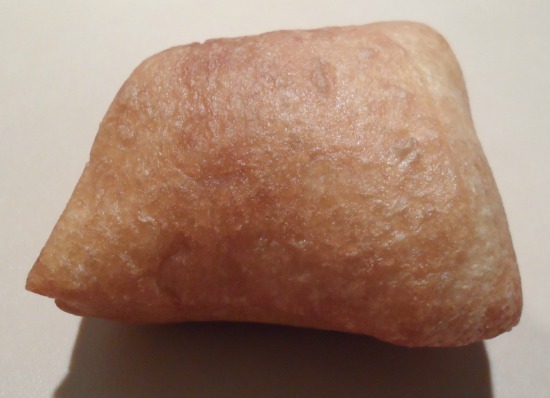 The fried bread was super delicious too. These are really yummy straight out of a hot pan with lashings of melting butter and golden syrup. I don't know that I would be game to try it as a burger though. It's one of those things that don't seem to gel for me. By the way, I'm not saying you can't have a heart healthy version either. 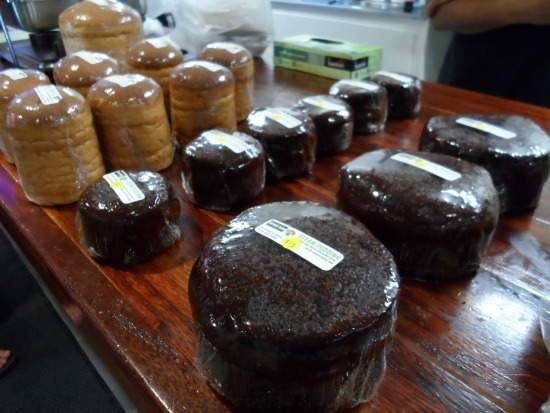 Not limited to hangi, Kiwi Kai also sells other quintessential Kiwi favorites such as boil-ups, steam pudding, rewena bread, fried bread, seafood chowder and rewena or fried bread burgers. The hangi menu has expanded to cater to a variety of tastes. You can stay up to date with it over on Kiwi Kai's facebook page. Click the Menu link to download the latest copy of the menu and prices. For Māori looking to visit Rotorua I can bet my life that this place is going to be a must visit. And I can also see it becoming an icon, just as Joe's Diner was before it. Sat 11am - 7.30pm NB. 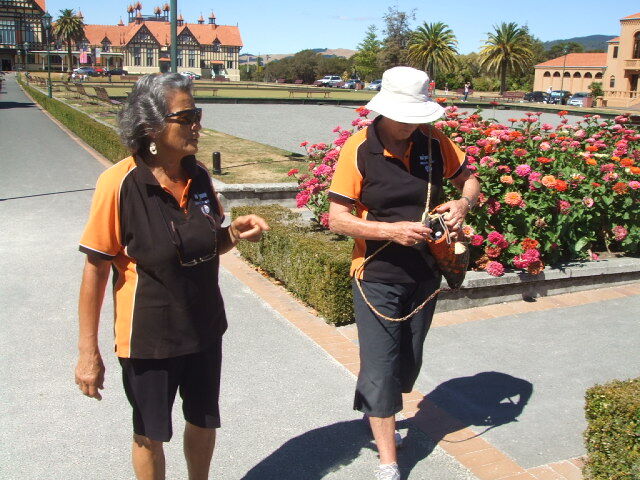 Kiwi Kai is also at the Kuirau Park Flea Market on Saturday mornings. If you're from out of town and driving, Amohau St is a busy four-lane road. That means lots of trucks. Both sides have parallel parking with minimal parks on the shop side of the street, a lot of what's available is for buses. On the far side of the street there may or may not be parking but you just have to be aware of the traffic coming up behind your vehicle and how long it takes to manoeuvre into the park. It can feel quite dicey at the busy times so it may be preferable to park around the corner.